We aim to provide a broad, balanced and progressive curriculum which is relevant to the needs of our pupils. 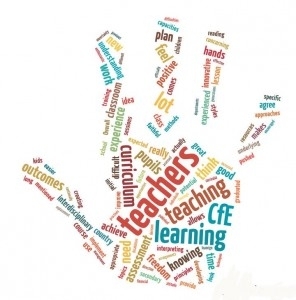 We will ensure that the principles of A Curriculum for Excellence – challenge and enjoyment; breadth; progression; depth; personalisation and choice; coherence and relevance underpin all of our curriculum developments. Children are encouraged to contribute to the life of the school to take on responsibilities. Languages, Mathematics, Expressive Arts, Religious and Moral Education, Sciences, Social Studies, Technologies and Health and Wellbeing. Projects where children can apply skills, knowledge and understanding from more than one curriculum area to promote deeper understanding and relevance in their learning. The path most children are expected to follow through the levels reflects the stages of maturation of children and young people and the changing ways in which they engage with learning as they develop. Some children and young people will start learning at these levels earlier and others later, depending upon individual needs and aptitudes. The framework is designed to be flexible in order to permit careful planning for those with additional support needs, including those who, for example, have a learning difficulty and those who are particularly able or talented. Pupils from P1 to P7 will be taught across the different curricular areas using a variety of different approaches. We recognise the varied learning styles of our pupils and appreciate the need to provide a balanced and motivating curriculum.